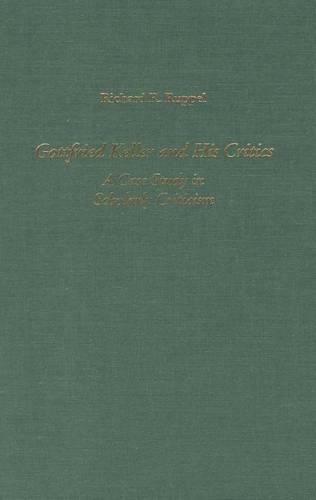 The works of Gottfried Keller (1819-1890) rank alongside those of Goethe and Thomas Mann, yet this volume is the first in any language to examine the critical assessment and scholarly expertise devoted to him, ranging from the early stages of journalistic criticism to the present day. Professor Ruppel begins by exploring the literary industry in the nineteenth century, the literary market place, the tastes of the reading public, and the expectations of editors, before going on to survey representative journalistic assessments of Keller's writing, including critical correspondence from Keller's contemporaries. Subsequent chapters examine in chronological order the most important milestones in Keller scholarship, particularly twentieth-century criticism and the Anglo-American tradition. There is also a brief history of the translations of Keller's works into English, investigating some of the difficulties confronting English translators of Keller's poetically creative German. The study concludes with an overview of recent scholarly assessments covering the past twenty-five years.